Just over three years since its launch in New York City in 2015 and expansion to Los Angeles and Dallas, the Indie Beauty Expo (IBE) landed in London. The show, which connects indie brands with potential buyers, press, consumers and investors, was held on 24-25 October at the Old Truman Brewery in the heart of London’s East End. Over 900 people attended, split between a consumer day and a trade-only day. As you might expect from London’s reputation as the world’s most global city, the 70 or so brands in attendance came from across Europe and as far afield as South Africa, New Zealand, Thailand and Bali. Here are our top 11 trend spots, covering some of the best innovations, brand stories and design seen from the UK perspective. ‘Globally gorgeous’ brands were widely in evidence, reflecting a blend of different cultures. Alex Carro is a Barcelona-located, essential oil-based brand – both minimalist and unisex – and set up by a Brit. The range consists of just five mixable, multi-use products, so people can tailor-make a beauty routine without masses of bottles. Gallinée, meanwhile, is a British-based microbiome brand, founded by pharmacy wiz, Frenchwoman Marie Drago and built on her patented complex of probiotics, prebiotics and lactic acid. Keeping it locally London was Joji from Wandsworth, offering micro-batch organic, cruelty-free, gender-neutral and zero-waste products for ‘grown-up skin’. Aromatherapeuticals feature heavily in its full face and body range. 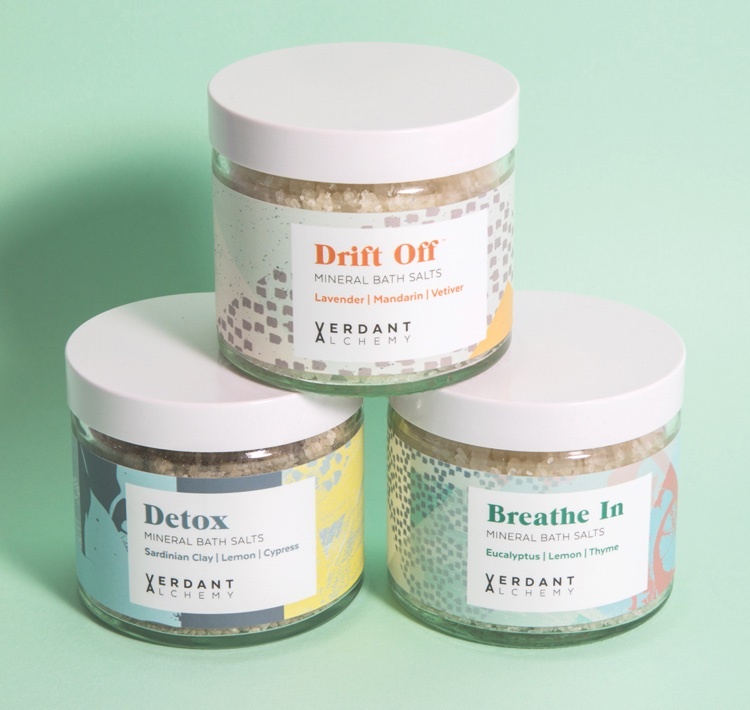 Based in Dulwich, Verdant Alchemy is a range of newly-launched, vegan, full COSMOS natural-certified, mineral-rich bath salts – all in very Insta-friendly graphic packaging. Founder Vivien Leung gave a up highly stressful job in advertising to start a holistic health clinic and saw a gap in the market for bath products that were not only relaxing, but also had health benefits. It is always good to challenge your assumptions and ‘cool Germania’ brands certainly did that. Established but privately-owned business Cosnova brought several brands to IBE including budget label essence, L.O.V (featuring some seriously influencer-friendly palettes) and Sign’s newly launched Nailfix & Chill, claiming to be the world’s first nail polish removal cream, housed in a bright red tattoo-inspired metal tube. Other delights were the hair care innovator Ikoo’s hair treatment masks and on-the-go individually-wrapped wipes, offering de-frizzing and dry shampoo benefits. It is unsurprising, however, that there were ‘Scandi superstars’. Danish Zenz’s allergy-certified, organic, professional hair care came in the most tactile possible pebble-shaped monochrome bottles. And Norwegian beauty range Eleni & Chris challenged the usual Scandi minimalistic conceptions, highlighting regional ingredients but with a decidedly glam and innovative twist. Surprisingly, there wasn’t that much of an ‘intimate beauty’ presence given the recent surge in brands targeting the ‘v-zone’, but Danish brand OrganiCup put a natural twist on the phenomenon, offering OrganiWash and OrganiWipes alongside its vegan menstrual cup. Some of the most beautifully packaged brands were ‘heritage reinvented’. Founded in Lisbon in 1925, Benamôr still hand-produces its natural-based range of face and body creams and soaps. Its hero product, Créme de Rosto face cream, is still in its original formulation. 1950s French product Collosol Eau de Lait is a multi-purpose product that can be used as a make-up remover, face/body cleanser and bath milk. And Olverum is a German brand originally founded in 1931; its bath and body products are packed with reviving essential oils and housed in elegant, nature-inspired packaging. Europe is most definitely behind the States in the ‘beauty oral care’ category. However, France-based LEBON’s beautiful oral care brand brings a smile to the mind with its elegant colourful packaging. Another up-comer in the category is luxury dental care brand Swiss Smile whose Pearl Shine Dental Conditioner – an on-the-go, all-in-one cleanser, whitener, desensitiser, re-mineraliser and stain protector – was an innovation stand-out. ‘Mystical beauty’ featured heavily. Balipura introduced Auric Mists – crystal-infused sprays for recharging the chakras – made with volcanic Balinese water and essential oils, and blessed by a Balinese priest. British Awake Organics, meanwhile, is based on food-grade hemp from West Sussex, wild frankincense resin, herbs and crystals for its skin care and multi-layering perfume oils. 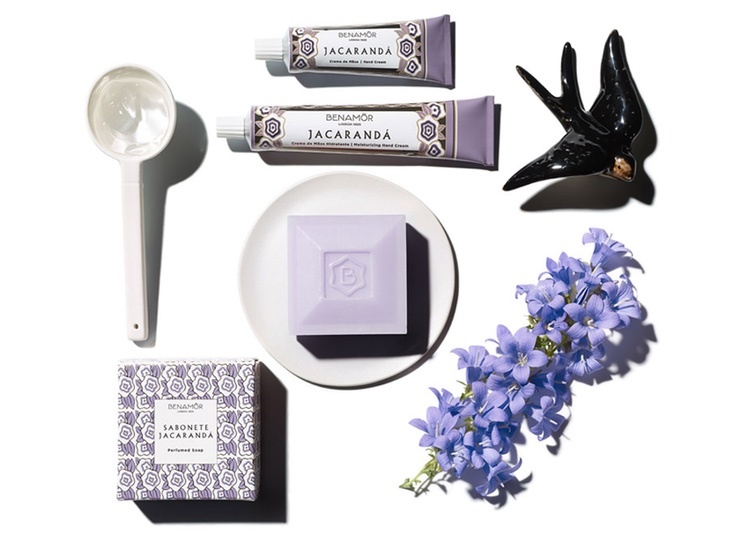 Other brands include Elementals fragrances, based on rebalancing people’s Qi, and Max and Me, whose products are handmade by husband Max and his wife Tanja, who chant mantras while biodynamically harvesting plants in their garden to ensure the products reach the highest possible energy vibration levels. There were some lovely ‘hero ingredient’ brands at IBE. America’s Le Prunier upcycles and extracts the oil from leftover plum stones to create a highly antioxidant, non-greasy facial oil. And Naya’s Everyday Face Oil uses pure cacay oil to boost collagen production and rejuvenate skin. British brand The Kind Planet Company is vegan, cruelty-free and certified organic, and donates 5% of all sales to charity. The company owns a cooperative smallholder farm network in Sierra Leone and Ghana, ensuring full environmental sustainability and Fair for Life wages for its farmers. There were several brands in evidence demonstrating some true ‘green glamour’. US-based colour cosmetics brands Antonym and Axiology are dedicated to high-performance glamour but are cruelty-free and sustainable. 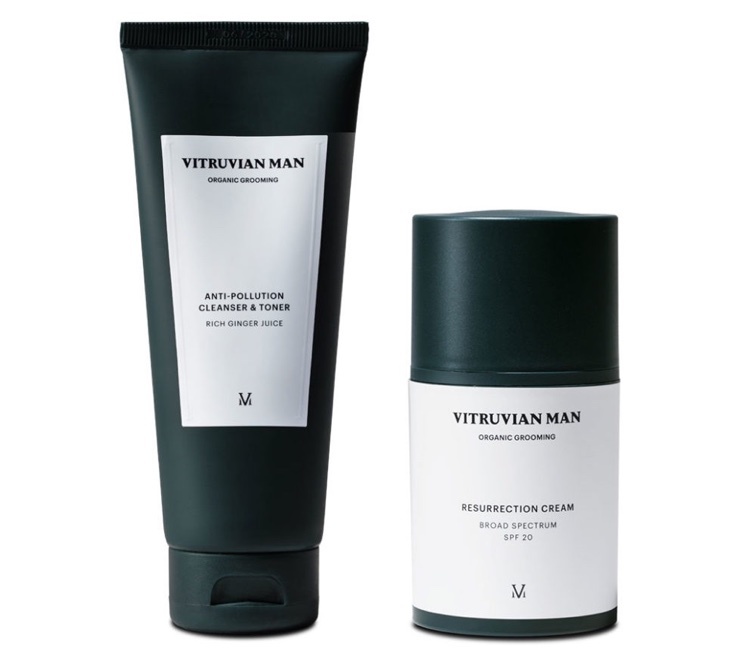 London-based Vitruvian Man launched at IBE London with organic, sustainable male products in the most elegant of packaging, based on Vitruvius’ philosophy of balancing strength, beauty and functionality. And as a final note, it was heartening to see just how many female beauty entrepreneurs there were at IBE representing their own vision of beauty, enabling diversity in all its guises.